* Retain original sales receipt as proof of purchase for winning prize verification. 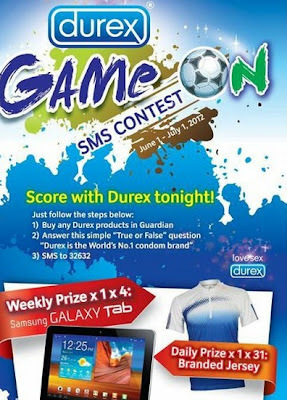 Visit Durex Facebook fan page for more details. 100,000 Malaysians Against Turtle Egg Consumption!